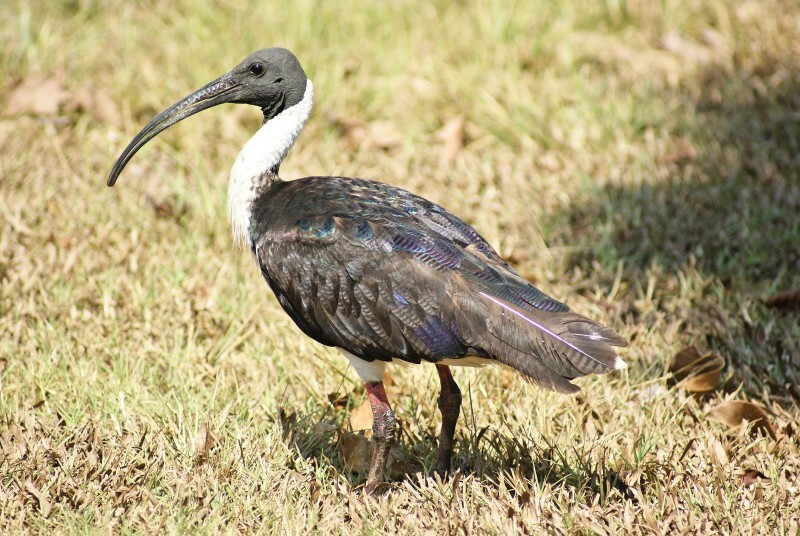 The more colourful cousin of the Australian White Ibis, these birds are not usually as tame. The name comes from the pale yellow straggling feathers on the neck. 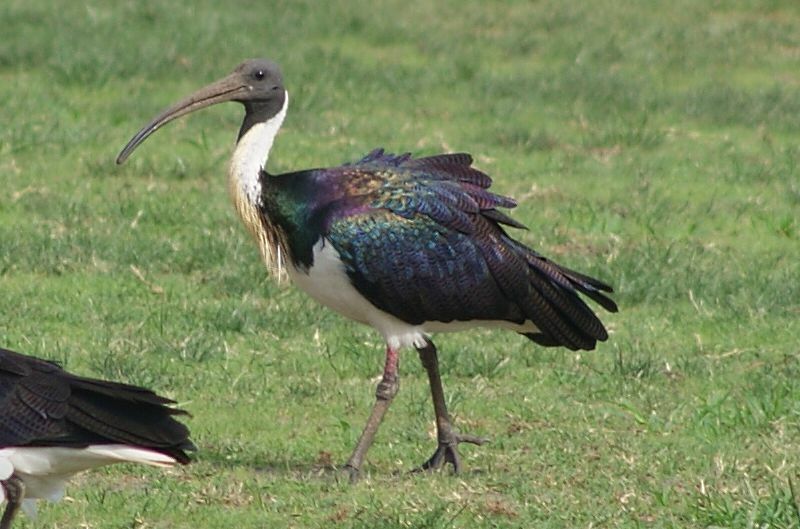 Unlike the White Ibis, they lack the same receptors on their bills for detecting food under mud or sand and as such are usually found foraging in grassland. 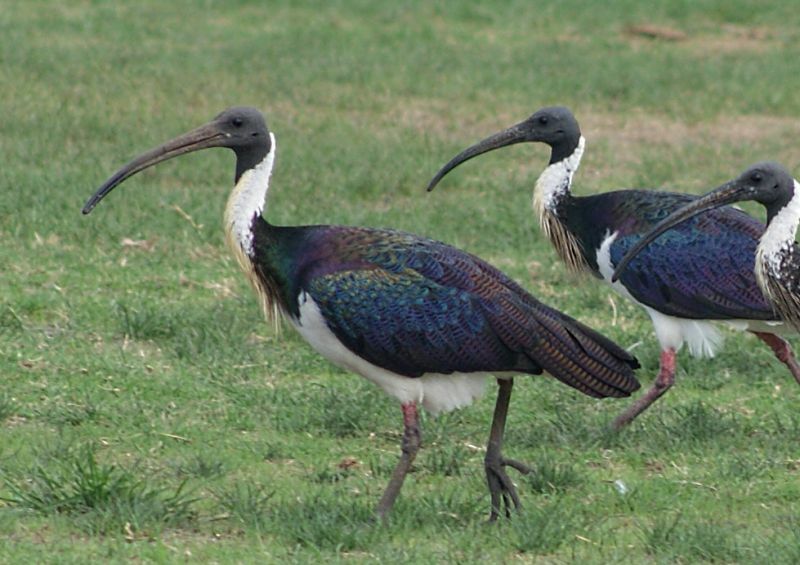 They are just slightly smaller than the White Ibis at 60-70 cm in length, compared to 65-75 for the White Ibis. 2-4: Monash University, Vic, 19/03/2010.